White Elephant gift exchanges are full of surprises! | Image courtesy Unsplash user William Stitt. I wasn’t expecting to find a literal wrench in my stocking, but I was ecstatic. “How did you know?” I asked my mom, the de facto stocking-filler in our house, who usually defaulted to playing cards and candy. “I didn’t,” she replied, then explained how she’d decided to give us random home improvement supplies. And it just so happened I was building my first toolkit! In addition to my wrench, spread out among the family there was a screwdriver, some nails, and a tape measure—all totally useful things we wouldn’t have thought to ask for. The next year, my mom gave us all kitchen stuff, and now we always excitedly wait to find out what useful odds and ends will find their way into our stockings. Sometimes the best Christmas gifts are unexpected and unexpectedly utilitarian. My mom chose to be practical, and it paid off in a big way. Every time I fix something around the house, I think of her generosity. 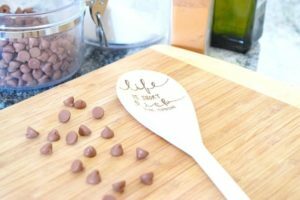 But that doesn’t mean a useful gift has to be something like tools; fancy chocolates for a candy lover or pet sitting services for a busy fur mom are just as good. 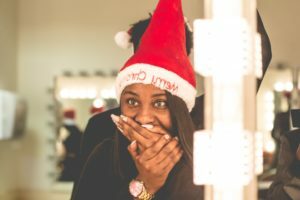 If you’re playing White Elephant, a variation on the classic Secret Santa gift exchange, you want to bring a gift people will actually want—something useful but fun, that no one else will think to get. Here are the best useful and creative White Elephant gifts ever, the ones each person will compete for. A gift that will make your recipient’s stomach happy. | Image courtesy Etsy seller OutOnALimbStore. My husband was looking at me strangely, and suddenly I realized why. Some coffee had dripped from my mug, and I was slurping it out of my saucer like a cat drinking milk. In my defense, I got a French Press coffee maker from my Secret Santa last year, and it totally changed how I enjoy my morning cup of joe—hence my commitment to getting every last drop! I thought I was content with my drip coffee, and now I use my press every day; likewise, these gifts for around the house will improve anyone’s life. • A Toolkit: Friends who are obsessed with HGTV and home renovation shows but haven’t figured out how to fix up their own place will love a simple toolkit. • Kitchen Supplies: Everyone can use a few new kitchen supplies. Consider upgrading something basic, like a corkscrew or casserole dish, or looking for a unique item they didn’t even know they needed, like a spiralizer for making healthy veggie noodles. • Storage Solutions: Whether it’s a jewelry box or a set of floating shelves, the gift of storage can be stylish and functional. • Coffee Accessories: From a simple coffee grinder to a supply of single-use pods for on-the-go folks, the gift of caffeine never goes unnoticed. • Holiday Decor: An heirloom holiday decor piece, from delicate ornaments to intricate figurines, is a gift many will appreciate when decorating for the holidays every year. • Something Cozy: A fuzzy chenille throw pillow, a luxurious robe, a brand new quilt—everyone likes to be warm in the winter. 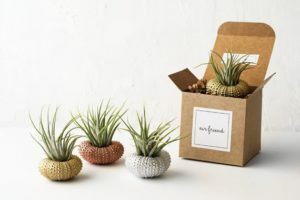 • Plants: Plants are pretty, yes, but many varieties—like spider plants and peace lilies—also help purify the air in your home. Brighten up the home with a plant. | Image courtesy Etsy seller AirFriend. • Tech Gadgets: Consider getting something like Tile (attach to your house keys so you can track them on your phone), Amazon’s Alexa (for controlling entertainment and lighting), or a digital probe thermometer for the kitchen (exact readings mean perfectly cooked meat). • Gifts for Hosting: Get a gift that makes it easier to invite friends and loved ones over. This could be a projector for hosting movie nights, a Bluetooth speaker so they can play music on the patio, or some nice servingware. • Art: A sentimental art piece, like a black and white photo of a landmark in your city or a painting by a local artist, can make a house feel more like a home. Your lucky recipient will love the gift even more if you include the necessary hardware for display. “More cheese!” I shouted excitedly, running from the mailbox to the house. I was in 4th grade, and I had received my second cheese-of-the-month-club box, a gift from my aunt and uncle. Yes, cheese is a weird gift to get a 4th grader, but I grew up watching Julia Child instead of Sesame Street and was already obsessed with all things gourmet. Whether it’s food, beverages, or a housecleaning service, subscription gifts are some of the best White Elephant gifts. And best of all, they keep on giving, even after your gift swap is over. It’s tea time! | Image courtesy Etsy seller alightstudio. • Cheese: Especially for those who live in rural areas without access to a good grocery store, a monthly cheese box can give budding gourmands a taste of the best cheese out there. 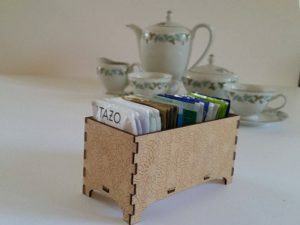 • Beverages: From hot cocoa to coffee and tea to soda, there’s a monthly beverage box to suit anyone’s tastes. • Spices: My mother and mother-in-law love cooking, so the spice subscription box I got them a few years ago, which included a selection of exotic spices and blends, was a huge hit. • Healthy Meal Kits: For health-conscious friends, a weekly meal kit delivery focusing on fresh and nutritious ingredients can be a big help. • Bacon: Who doesn’t love bacon? A bacon subscription box lets your gift recipient experience all the world has to offer in the way of salty, smoky cured pork. • Chocolate: Dark, milk, organic, or Fair Trade, there’s a chocolate subscription out there for anyone with a sweet tooth. • Pet Sitter: Offering pet sitting services, whether procured by yourself or a pro, is a useful gift for animal lovers. • Housekeeping: A monthly or bi-weekly housekeeping service is a great present for busy families. • Laundry Service: If your gift recipient has to visit a laundromat on a regular basis, a month of laundry service will be a blessing. • Childcare: Whether you’re offering your babysitting skills or springing for a nanny, childcare is a gift that gives parents something priceless: freedom! It felt like fate. I had just taken up painting, and there, in our White Elephant gift circle, was a new set of watercolors. It was a strangely specific gift, different from the usual coffee mugs and fancy pens. I’ve learned that while getting something generic is a safe way to play White Elephant, getting something specific is more fun. There’s a better chance your gift will really stick with someone, and it’s more enjoyable when people really want the gifts. These are some great White Elephant gifts that will cater to what people feel passionate about. • Car Accessories: From driving mocs to a steering wheel cover for chilly days, gifts for car-obsessives are easy to come by. • Fancy Headphones: Music lovers deserve a chance to listen to their favorite tunes uninterrupted; a nice pair of earbuds or noise-canceling headphones does the trick. • Concert Tickets: Treat your gift recipient with tickets to see a popular band. • Dinner Out: Give foodie friends the gift of an excellent meal with a gift certificate to a must-try restaurant. • Art Supplies: For artsy types, a bundle of new supplies or a gift certificate to a store will help them fuel their creativity. Fancy popcorns are perfect for movie buffs. 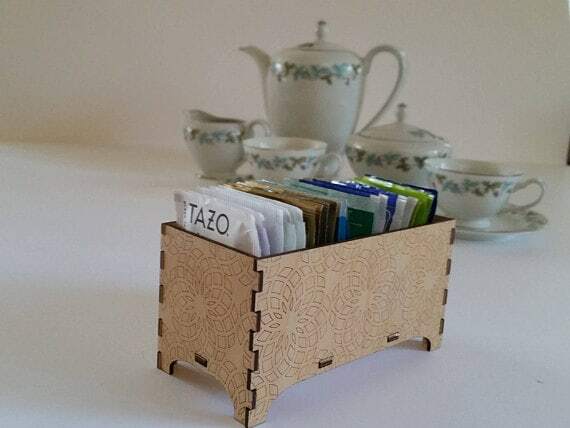 | Image courtesy Etsy seller dellcovespices. • Athletic Equipment: A fancy water bottle, fitness monitoring device, or a new plush yoga mat are useful gifts for athletes. • Tickets to a Sporting Event: Put a smile on your gift recipient’s face with tickets to see the home team play. 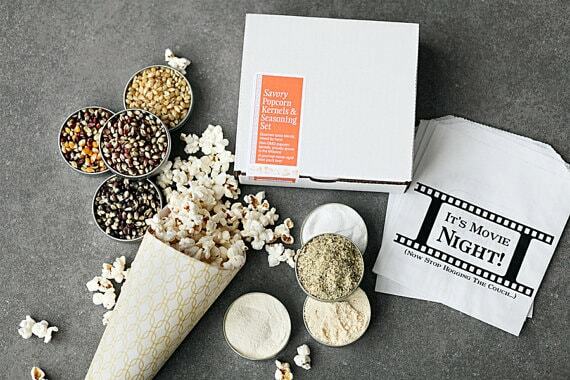 • A Movie Night Kit: Popcorn, candy, a DVD, a cozy blanket—bundle these together to make the ultimate movie night kit. • Something For Their Pet: The way to many people’s hearts is through their pets—get them something fun for Fido that they will love to see their pet enjoy. • Something Spiritual: From New Age crystals to a framed piece of scripture, a gift that caters to their spiritual side will nurture them for years to come. I always stock up on just-in-case gifts to keep around the house for last-minute parties and gift exchanges (it’s a lot more relaxing to buy Christmas gifts throughout the year than to wait until the last minute). Just like setting up your gift exchange with an online service like Elfster makes life simpler, keeping a variety of useful items on hand is always helpful. Even for White Elephant, where you aren’t sure who’s going to wind up with your gift, if you choose something unique from your stash, there’s a good chance at least one person will really want it. This year, instead of going generic, pick a gift that’s useful and creative in a specific way. When the present finally makes its way into the right hands, that person will feel like you picked a gift just for them. And that flash of happiness, of giving someone something they love when they least expect it—that’s what the holidays are all about. Still not sure what to get for your White Elephant exchange? Check out our $25 and Under Gift Guide. Share your fave finds on Elfster’s Facebook page, on Twitter @Elfster, and on Instagram @Elfster.